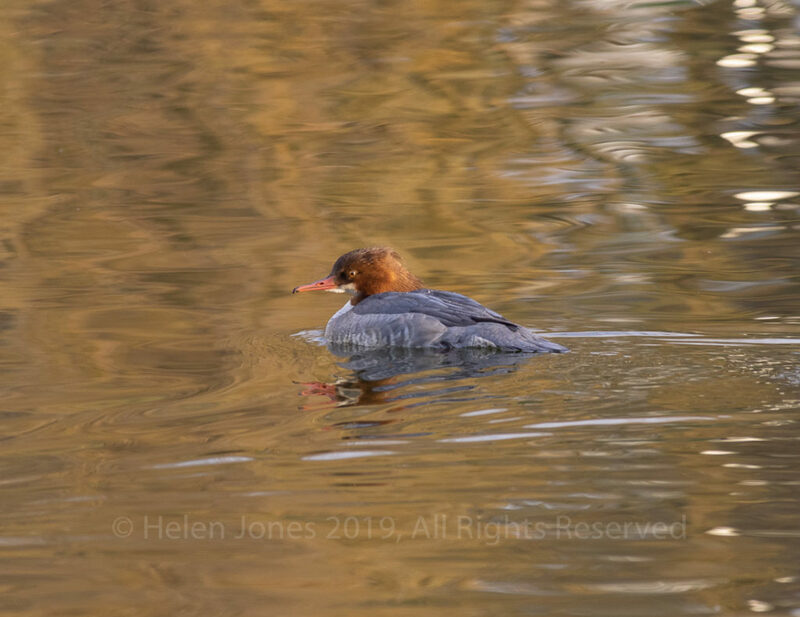 Photographing a goosander yesterday, I was fascinated by the colours and patterns reflected in the water around the bird. 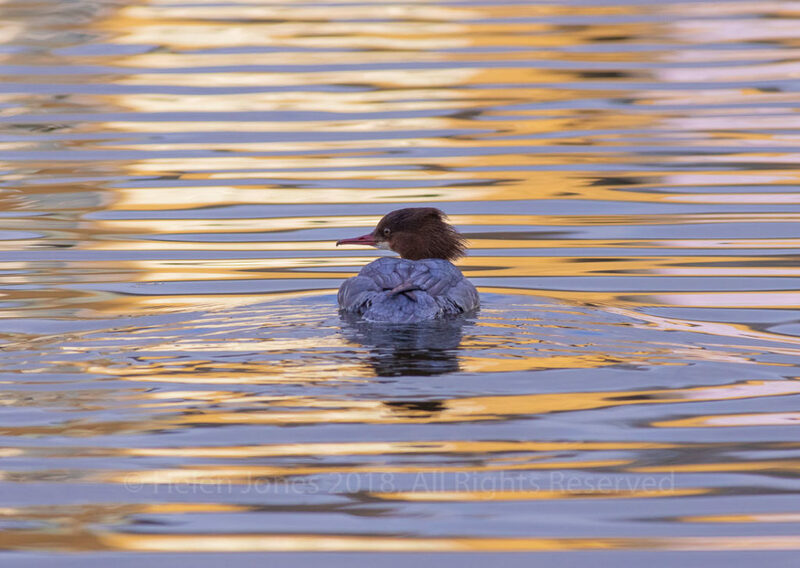 The bird itself was beautiful to see, but the varying reflections meant that I could create a huge variety of different images. 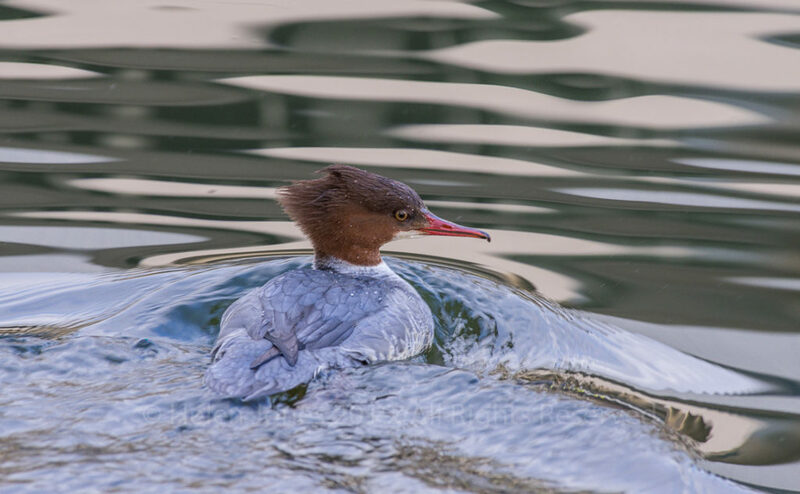 In some the picture is about the goosander, but in others the story is more about the abstract patterns the reflections created. 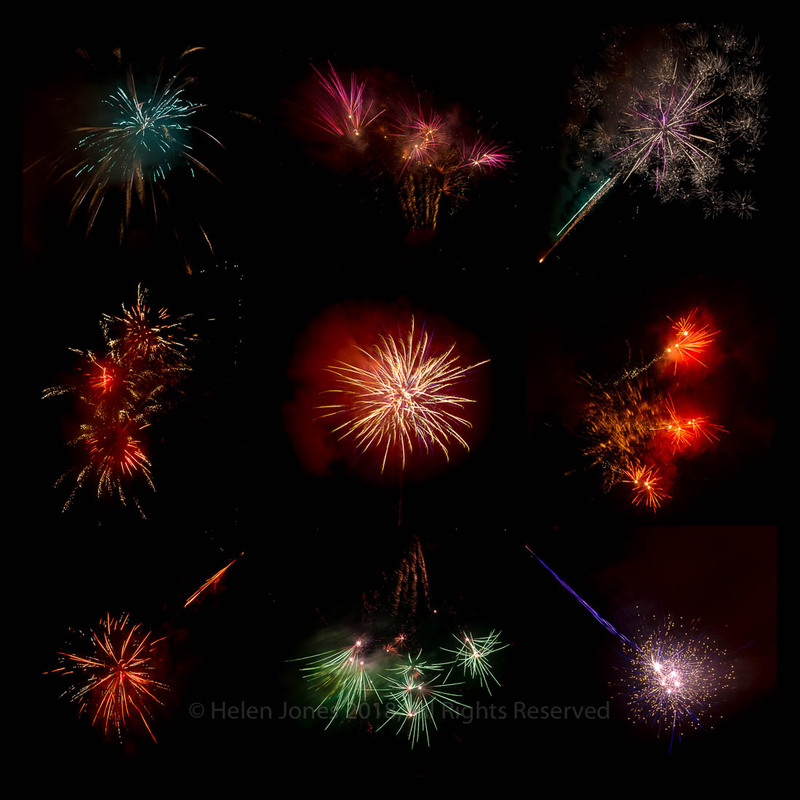 I love watching wildlife and capturing an animal or bird’s behaviour or character in my wildlife portraits, but some of my more recent projects have been aimed at capturing more of the spirit and beauty of nature in more creative ways. This is very much a work in progress, and rather than one particular style or technique, I’ve tried a variety of styles and techniques, as I think what is needed to bring out its essence and character is, to some extent, dependent upon the animal, bird or environment concerned. For example, when photographing terns in the Farne islands, I wanted to convey something of the balletic elegance of their flight, and so aimed for a high key approach with the sun shining through the feathers to give a more ethereal quality, combined with a slower shutter speed to allow some movement blur. 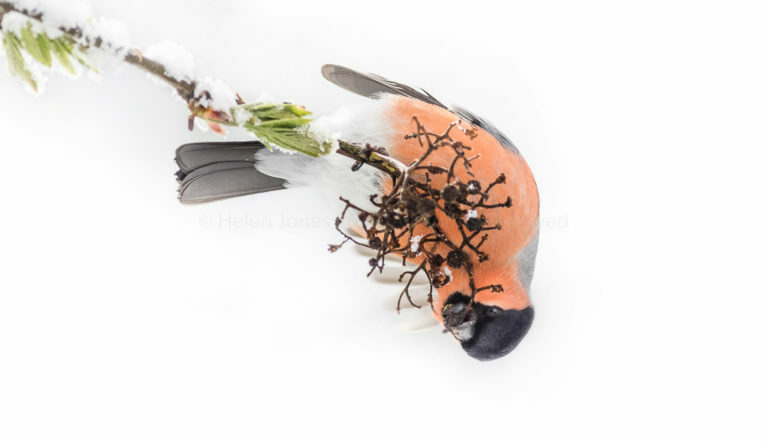 When watching bullfinches feeding in a snowstorm in Scotland, the white background and bright colour palette of the bullfinch plumage reminded me of Chinese bird and flower brush paintings, and this concept certainly influenced how I approached the subject. With the snow helping to create a minimalistic background, I exposed the image to brighten this further, used a slower shutter speed to capture some movement blur, like rough brush strokes, in the bullfinch’s fluttering wing, and aimed to keep the image simple and painterly in my processing. 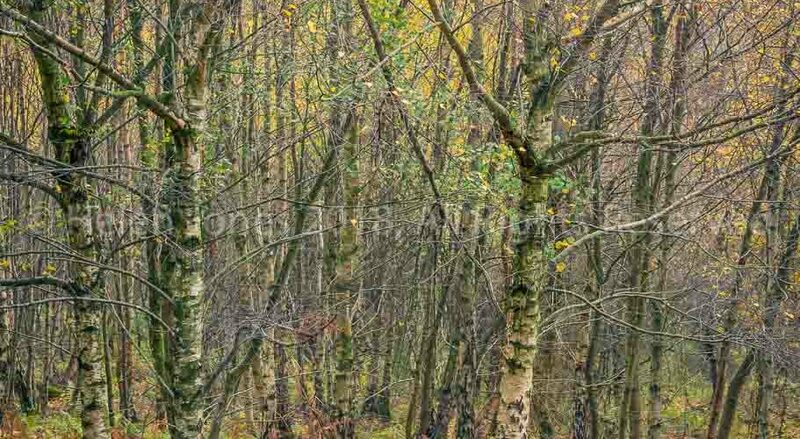 Sometimes the animal’s habitat is what makes the scene interesting, in which case I aim to use composition and processing to bring out interesting patterns or textures. 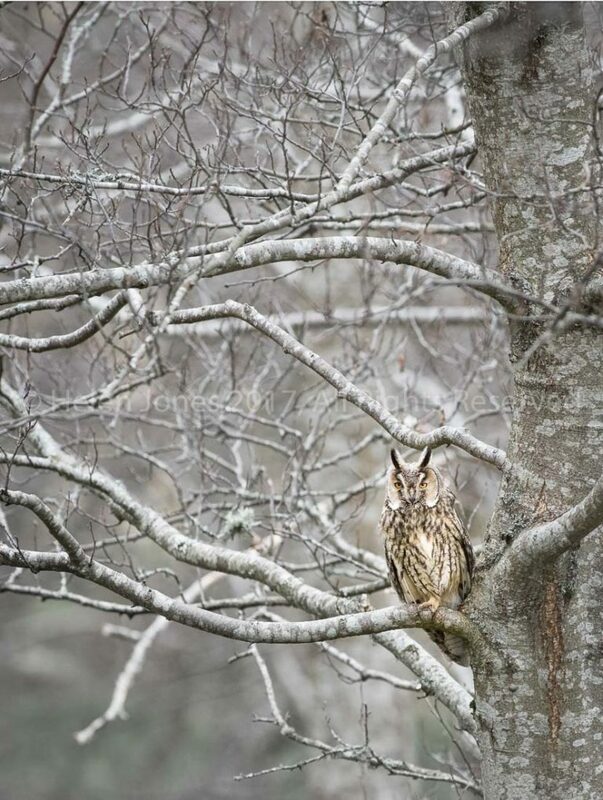 An example is the long-eared owl in woodland, where I wanted to emphasise the patterns formed by the branches, against a subdued colour palette caused by an earlier snowfall, with the owl being merely a part of the beautiful woodland scene. 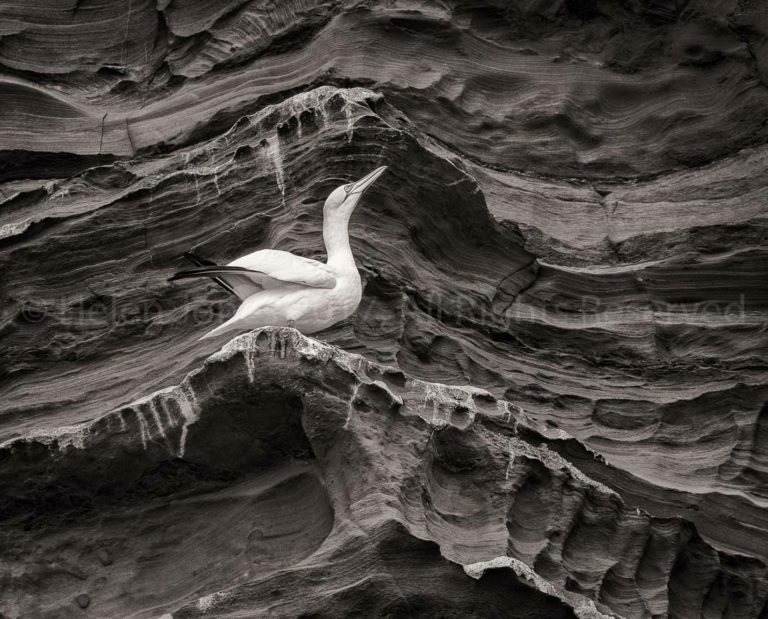 Equally I loved the amazing curves and shapes of the eroded cliffs on Noss, Shetland, where the texture and pattern of the cliffs make the picture, as much as the gannet perched on his ledge (see also at the top). Sometimes the story is about the relationship of the animal to its environment. I photographed this stag roaring on a mountainside in Ardnamurchan. The roaring of stags carried for miles, and was the only sound other than the wind in the remote glen where we stood looking up at the mountainside to spot the source of the noise. When photographing him I wanted to show something of the size and space of his remote habitat, so I waited until he moved towards another stag and stepped out onto the crest of the ridge, so that I could silhouette him as a very small, but still recognisable shape against the colourful sky. 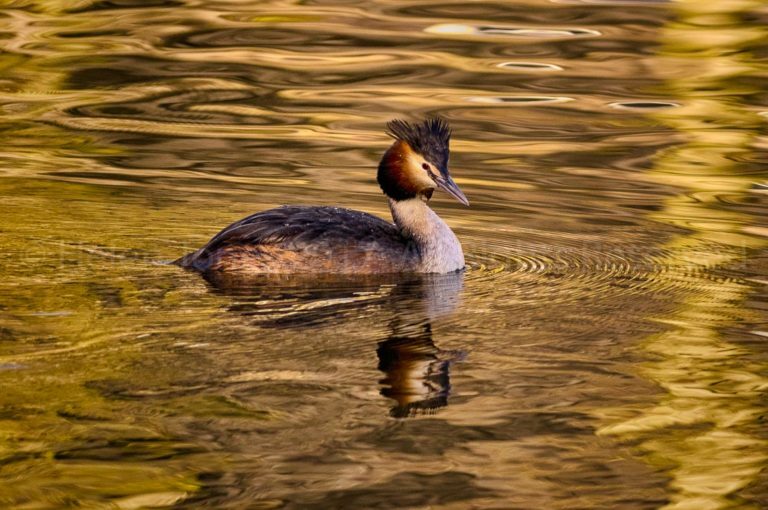 I have also worked on a series of photos of water birds where the colours reflected in the water are a key element of the picture. 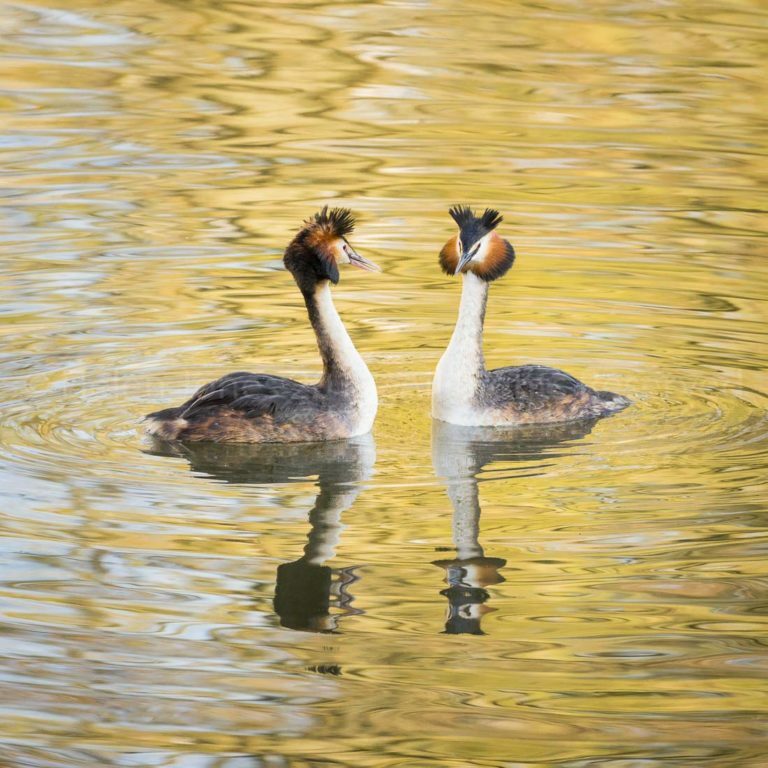 These great-crested grebes are probably my favourites of these images. I love the colours and patterns of the reflections and ripples on the water. 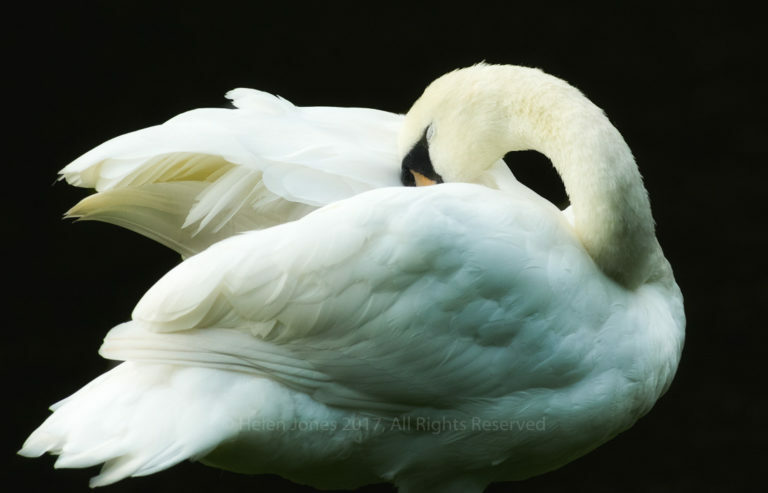 Most recently I managed to take a series of photos of swans in a style I had wanted to achieve for some time. I sometimes like to use a dramatic lighting style (chiaroscuro style lighting) in my monochrome photos, and had pre-visualised photographing swans in a very high contrast style, with the light shining through, and on, the swan’s white feathers, creating an ethereal effect, as with the tern. Hopefully these photos capture more than just a record shot of wildlife, though they don’t always seem to go down well with judges, but, as we’re always being told, we should take the photos we want to take, and these are definitely the photos that I enjoy making the most, so it’s an area I want to keep developing and progressing – watch this space!